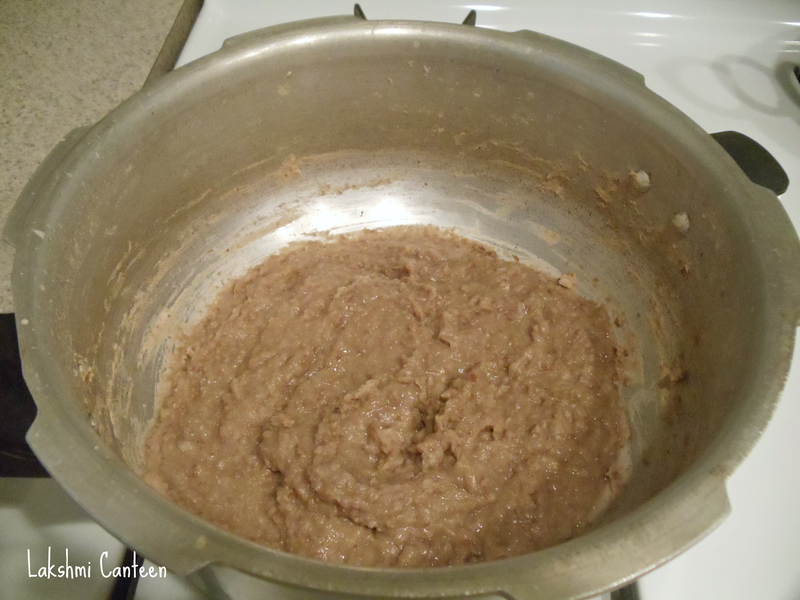 Refried Beans is a staple of Mexican Cuisine. 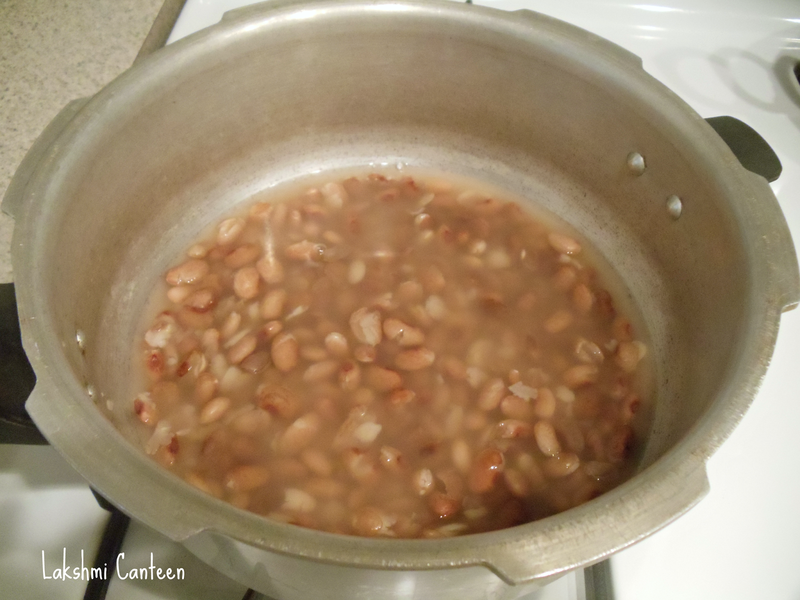 The beans (Pinto or Black beans) are cooked until soft and then mashed and seasoned. The process of making it is very simple and requires only few ingredients. 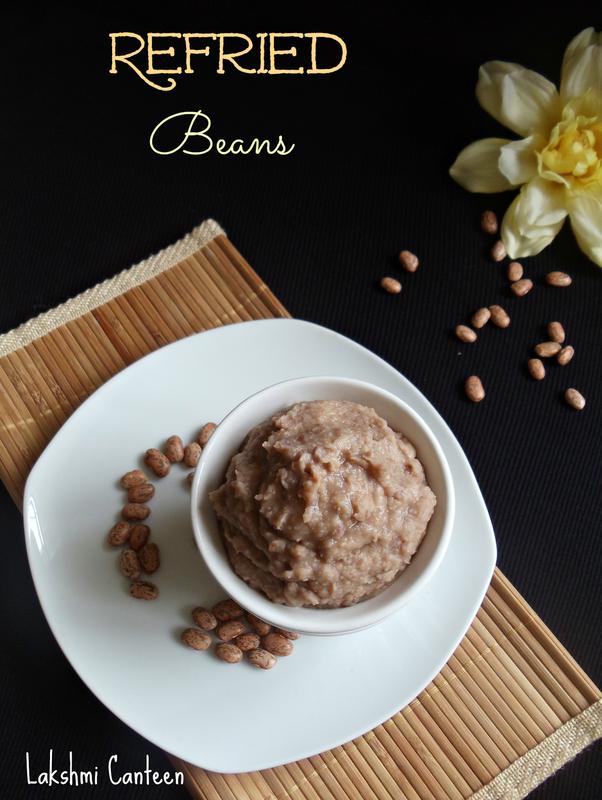 I always cook a big batch of beans in a pressure cooker to lessen the cooking time and then freeze the refried beans for future use. This way I have it on hand all the time. I use it in my tacos, nachos etc. Do try making this at home and I am sure you will never buy the canned ones. Note: You can also add cumin powder, onion powder etc. Wash and soak the beans for 7-8 hours. Discard the water in which it was soaking. Wash the soaked beans in fresh water, 1-2 times. 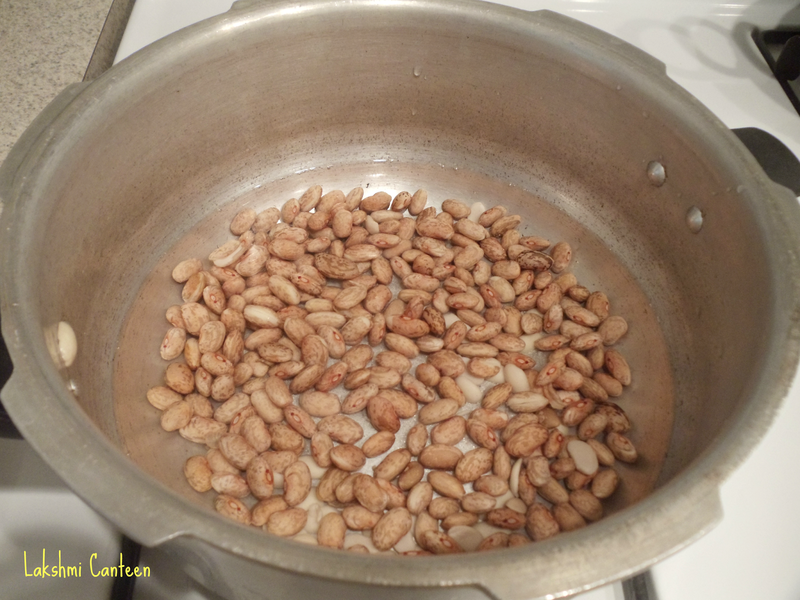 Transfer the soaked beans into a pressure cooker along with water and salt. Cook it for 4-5 whisles. 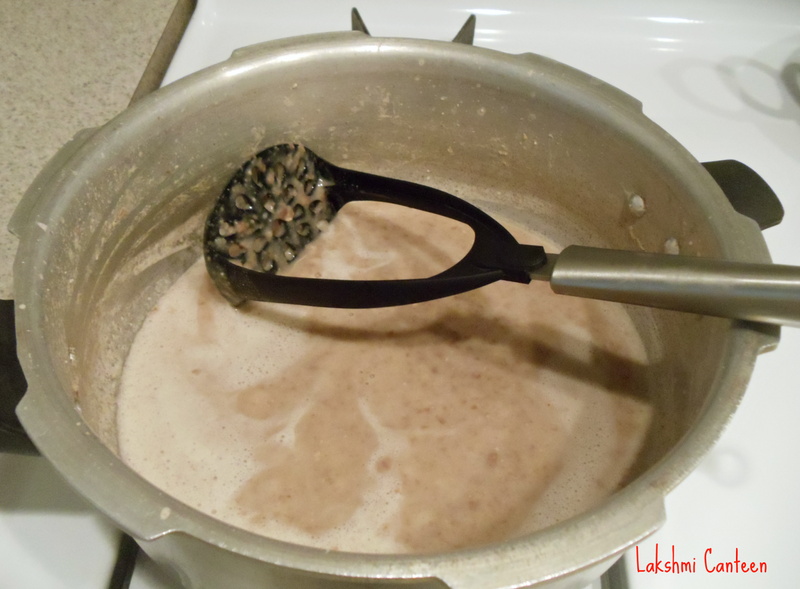 Once done, mash the beans using a potato masher or a hand blender. Then add garlic powder, red chilli powder and oil. Start heating the mixture until it thickens. Then turn off the heat and transfer it into a bowl (the mixture thickens as it cools. So I don't thicken the mixture too much). Serve it as a dip to corn chips. In that case you can brighten it up by adding chopped cilantro and lime juice. You can also add some cheese. You can also use them in burritos, quesadillas, Nachos, 7 layer dip etc. 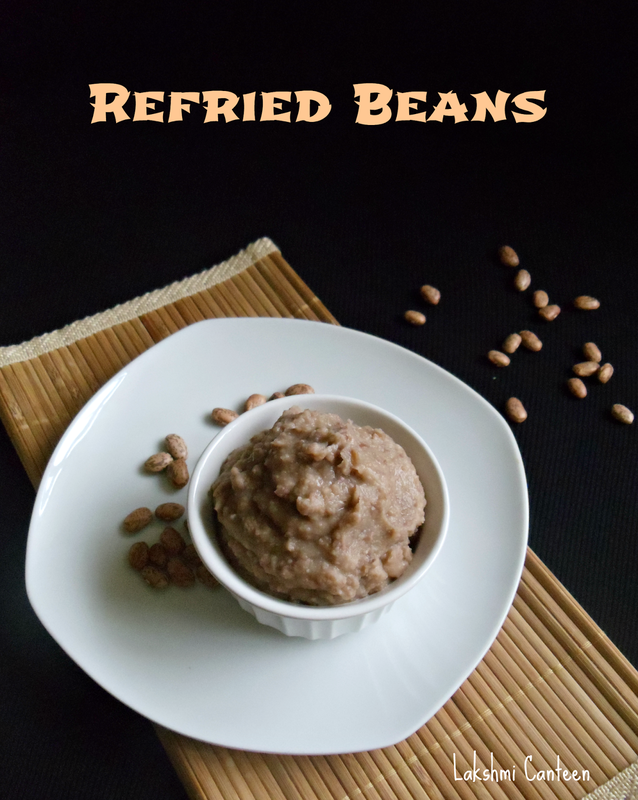 Notes: #You can make a big batch of refried beans, portion it in freezer bags and then freeze it. It stays good for many months. #Each time you make them, play around with the spices and stick to the one you like the most. 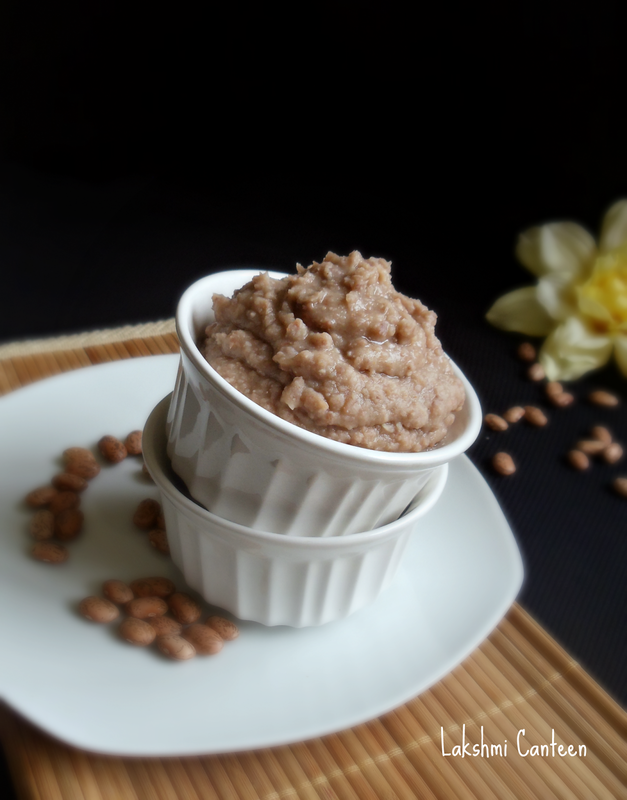 #You can cook the soaked beans in a slow cooker or in an open pot too and the cooking time varies accordingly. #You can also heat oil in a separate pan and then add cooked beans and seasonings. Then mash it.